As the Cassini spacecraft slid between the Sun and Rhea, it caught this view of the moon at almost full opposition. 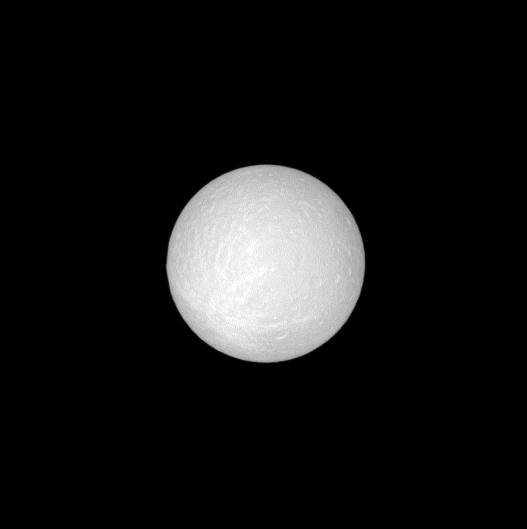 North on Rhea is up in this image, and, in the southern hemisphere, the faint outlines of a ray crater are visible. Lines, or rays, of debris from an impact streak outward from the crater on the left. 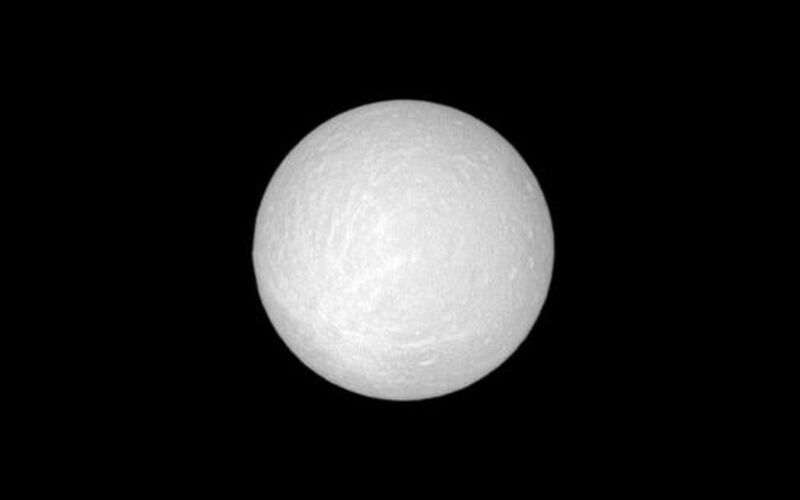 This view looks toward the leading hemisphere of Rhea with a Sun-Rhea-spacecraft, or phase, angle of about 0.4 degrees. 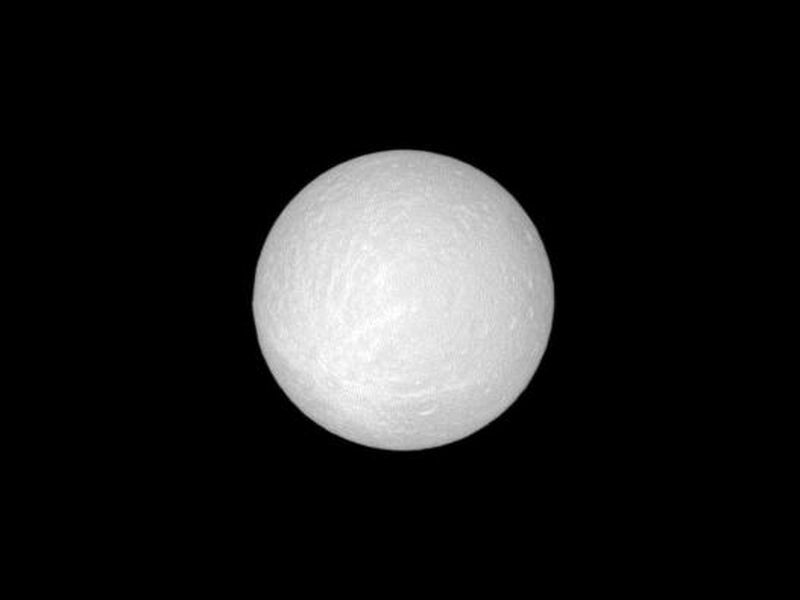 With the sun almost directly behind Cassini, topographic details such as the crater are washed out by the sun's brightness. More contrast between these details is visible from greater phase angles (see see PIA07609). The image was taken in visible light with the Cassini spacecraft narrow-angle camera on Oct. 27, 2008 at a distance of approximately 1.285 million kilometers (799,000 miles) from Rhea. Image scale is 8 kilometers (5 miles) per pixel.